The Spirit IN100 treadmill is definitely overpriced. For a treadmill with a price tag of more than $1,000, this machine has nothing special on it. The Spirit IN100 offers a 2.0HP motor which reaches speeds of up to 10 mph and is inclinable for up to 10%. These features allow you to modify the intensity of your workouts to suit your fitness level. The main weakness of the Spirit IN100 is its lack of quality. Also, I think it is a bit overpriced since its features are standard to most treadmills, even the cheap ones. I don not recommend this treadmill. 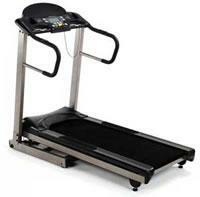 I honestly believe that there are a lot more treadmills out there that would give you more value for your money.